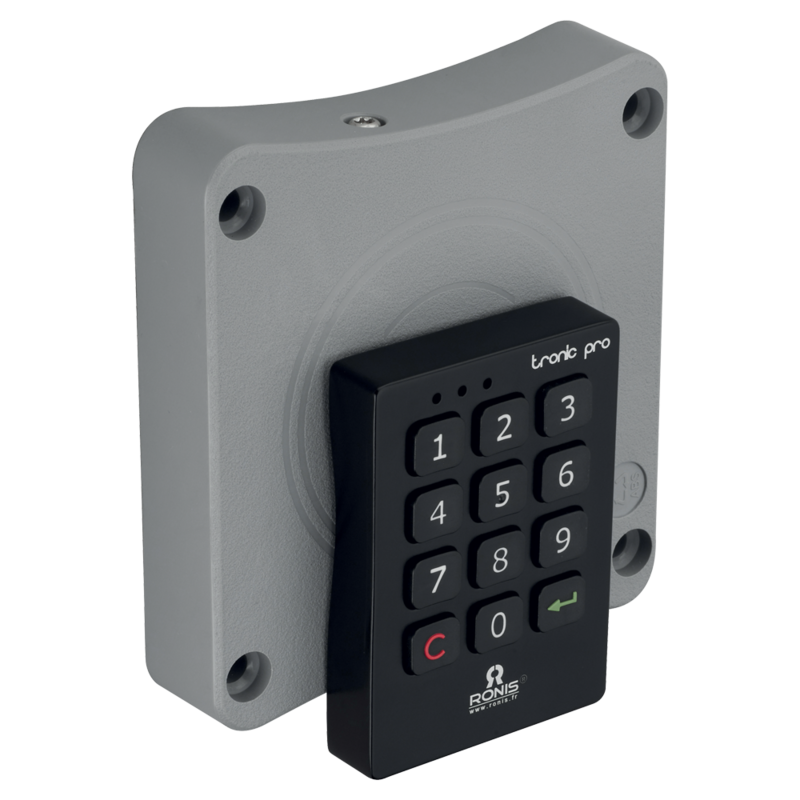 RONIS Tronic Pro is an electronic lock which will operate upon entry of the correct code. This professional version has many features including software management, single and multi user modes, an internal clock with tracking function and the choice of public or private modes. It has a 5 digit admin code and a 4 digit access code which require a security code if 3 incorrect entries are input. It is IP65 rated, has braille buttons, is supplied complete with 4 x AA batteries and gives both visual and acoustic feedback. You can program it to be open for different days and times and the internal clock automatically takes day light saving into account.